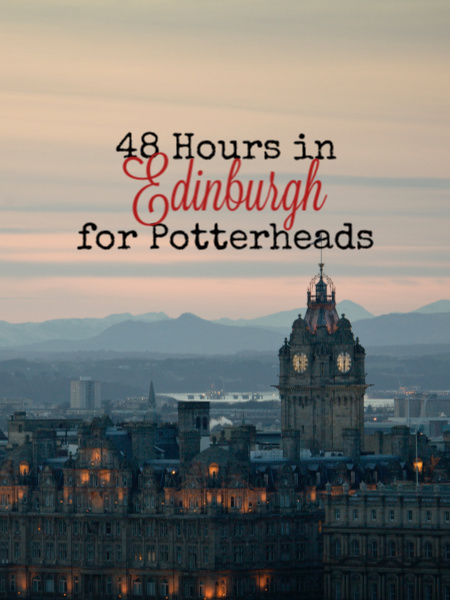 In an attempt to reign in all my ideas for visiting Edinburgh, Scotland this year, I'm bringing back my old 48 hours series for two separate posts on the city. While I'll be there for a week, two of those days will be attending wedding festivities, so that leaves me with four days to sightsee. I want to see all the great stuff Edinburgh has to offer, but I also want to indulge myself in all the Harry Potter goodness there is. So, this first post will be for the Potterheads and my next post will be for those who aren't. As always, we assume you got into Edinburgh early in the morning or the night before we begin our two days. Start your day off with a nice little breakfast, or just a cuppa and a pastry, at Elephant House. While not exactly “the birthplace” of the Potter books as the restaurant claims, Rowling did do a fair amount of writing here. 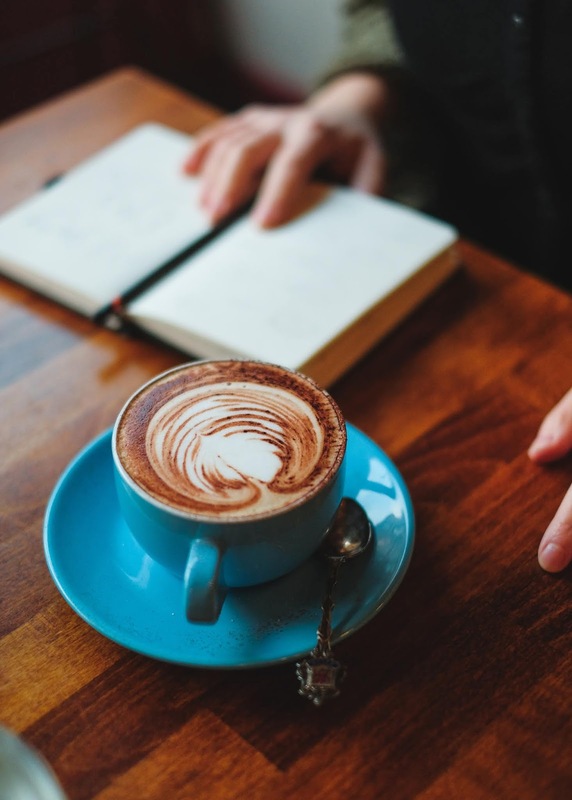 Maybe you can soak in a bit of inspiration while you’re sipping your coffee or tea, knowing that such an amazing book series was partially conceived here. Don’t forget to take a trip to the bathroom before you leave for a wonderful homage to the Boy Who Lived. Since I can't find any menus online, I'm estimating a meal of $30 for two, assuming they upcharge for the popularity of the cafe. This cemetery has quite a few similar names as those found in the Harry Potter books including a Thomas Riddell and a William McGonnagal. It’s perhaps true that JK Rowling didn’t actually use names from this churchyard for her characters, but that doesn’t make it any less special. The historic church was built in between 1602 and 1620 and was the site for the signing of the National Covenant, which can be found in the small museum there. And even if you don’t believe the residents of the graves here were used for your favorite books, you can find Greyfriar’s Bobby (and John Gray), the the loyal dog who sat next to his master’s grave for 14 years. Tours are available for £8 for adults, and £6 for children, but you can visit for free (or a donation). At most, this means you're paying ~$20 for two adults. 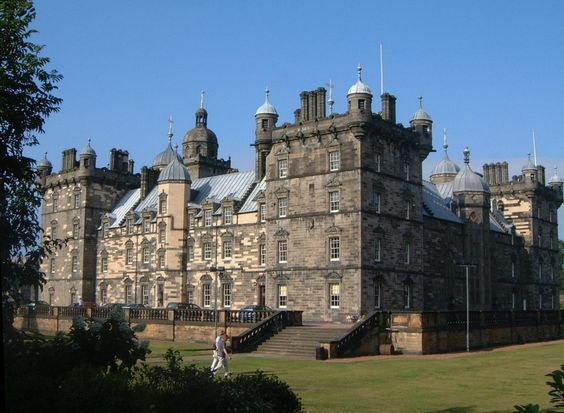 George Heriot’s School, built in 1628, was opened as an orphanage and hospital for boys. It’s now a fancy school for boys and girls and not available to the public, though it may have been an inspiration for Hogwarts School of Witchcraft and Wizardry. Whether true or not, there’s no real reason to not want to wander by and see an awesome historical building. In fact, you don’t even need to go all the way there. You can see it from Greyfriar’s Kirkyard. Free to look! 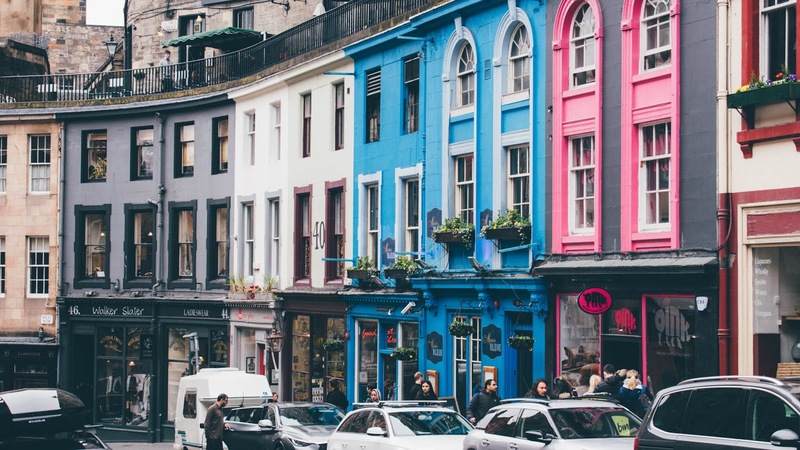 Believed to have inspired Diagon Alley, Victoria Street in the Grassmarket District is colorful, narrow, and has similar shops as those found in the books. I mean, you won’t find Quality Quidditch Supplies or Eeylop’s Owl Emporium, but that doesn’t make it any less magical. With the pointed roofs and the shops on a steep incline, one could certainly lose themselves here and very well imagine being inside the books. This is a fantastic place to stop and grab lunch, as the street is packed with cafés, shops and more. Don’t forget to stock up on all things Potter at the Museum Context, which is also known as Diagon House. The Boy Wizard on Victoria Street also specializes in Potter products, so don’t forget to bring your reusable shopping bag for all your goodies. Maybe also your restraint, so you don’t overdo it. Depending on how much time you spend here, you may want to grab dinner at another Victoria Street restaurant that you saw in your wanderings. Free to browse and take pics. I've chosen Bertie's Proper Fish and Chips for lunch: £10 per entree, though some portions are big enough to share = $35 for two | Howie's for early dinner: 2-course for £14.95 = $58 for two, including beverages and maybe dessert. Lunch and dinner together comes to around $93. I'd call it an early evening and go back to my room to save my feet for all the sightseeing and walking I'll be doing on my next day. Get ready for an interesting day by having breakfast at Spoon. 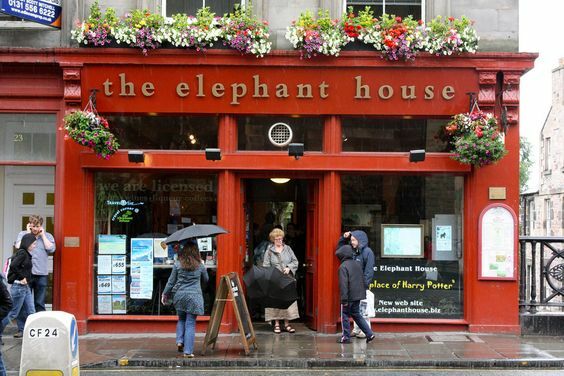 This restaurant is the setting for Rowling’s first book writing. When she was laying the groundwork for what would become one of the best-selling series in history, this restaurant was called Nicolson’s Café. It then closed and briefly became a Chinese restaurant, and now it’s Spoon. The building is still the same, and therefore still keeps the “magic” alive. Breakfast entrees are £9 or less. Including a nice cup of coffee, I'll estimate £13 per person, so $40 for two. Head to the Royal Mile and view Rowling’s handprints in gold in front of Edinburgh City Chambers. You’ll also see other handprints here of those that contributed to the city and won the Edinburgh Award. Free! 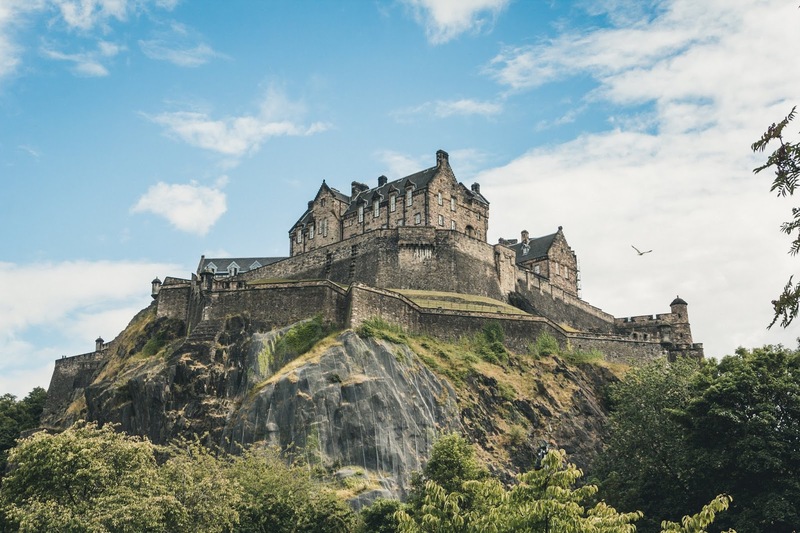 Though it may or may not have been an inspiration for Hogwarts, Edinburgh Castle is a wonderful historic castle built in the 12th century and a fantastic way to spend your time in the city. Though you may find it very busy with tourists, one of the most popular times to visit is around 1pm when they do the firing of the gun. Admission is £17pp if you purchase ahead of time (saving you £1.50pp). $54 for two. You can choose to eat at the castle cafe if a simple meal is what you're looking for, but nearby is a cute and well-reviewed American diner where you can grab a substantial lunch with favorites like nachos, mac ‘n cheese, burgers and more. The prices at The City Café are affordable and they even serve vegan and gluten free options, so everyone is happy. Entrees average around £10, which makes a lunch for two around $40. This is where you want to make reservation. The Department of Magic houses a potions bar, where you can create your own cocktails, and several escape rooms that are Potter themed. You can easily spend a fair amount of time here, depending on what you want to do. Choose from Prophecies Quest and Dark Lord Resurrection for the escape rooms. You will also need to make a reservation for the Potions Tavern if this is on your list. Two people for the escape room is £40 and two for the Potions Tavern is £34. 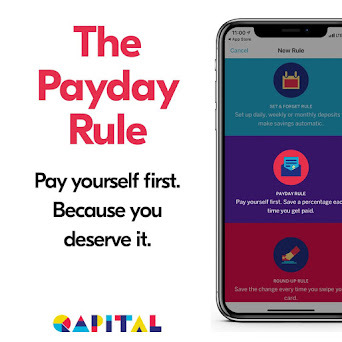 Doing both of these will set you back $95. 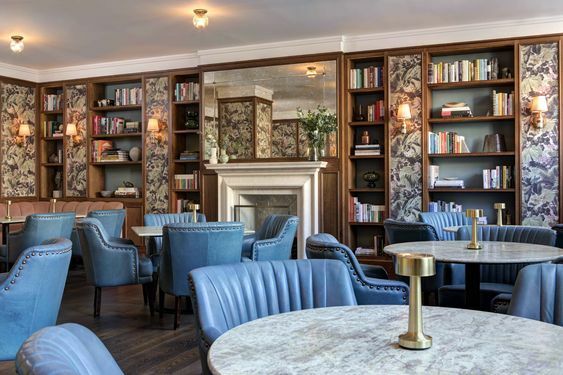 Though you could drop a hefty chunk of your travel budget to stay in the very room where Jo finished writing Deathly Hallows (552) at the Balmoral Hotel, I’d skip that and instead enjoy visiting the hotel and grab dinner or a drink at one of their restaurants or bars. The brasserie is a bit of a splurge for dinner out, but the menu looks tasty and you can make a reservation online. You could get away with a meal for just £21pp, which I'll round up with drinks to $70 per couple. Head back to your room/rental to reflect on all the cool things you did the last two days and to rest your feet from all the walking. 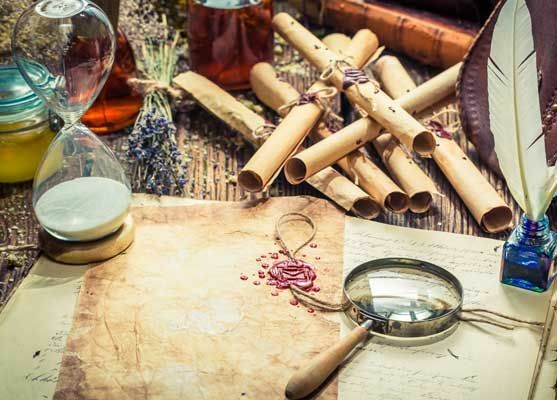 Though this hardly includes all the stuff you could do that's Potter-related, it hits on all the best things you can include in a longer itinerary. 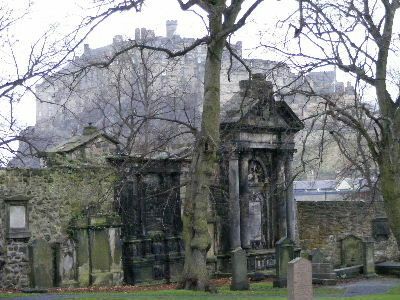 Your two days, not including the accommodations you stayed in, will cost you around $422, more if you take the tour at Greyfrier's Kirkyard, and less if you start your mornings will a coffee and pastry or choose some more affordable lunch/dinner options. 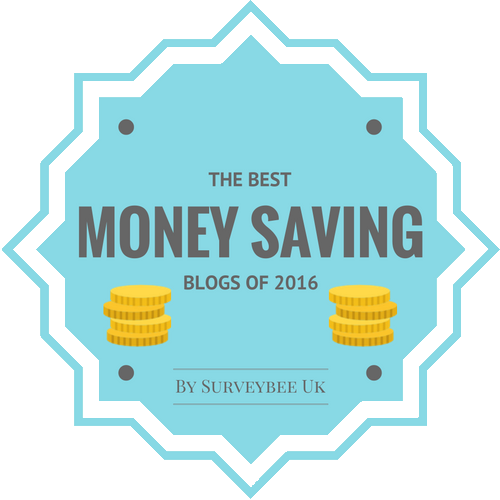 Of course, if, like me, you're planning to spend more time in the city, you can always make up your budget by including some cheap and/or free activities on the rest of your trip. Have you visited Edinburgh? What were your favorite things to see/do/eat?